This is just some of what your body can endure when you have a blog. Or when you attempt to write a post. It’s so much work, and the stress can be brutal at times. So much that it makes you want to quit. You bail on those posts sometimes. Don’t you? You decide to tweak your about page, or look through your Twitter stream, or even clean the keys on your laptop. Anything to avoid writing that post. And why do you keep putting yourself through it? You’re not getting any more readers. Your subscription list is in a constant two steps forward, two steps back state. And you can’t seem to get the engagement levels that so many other bloggers have. Maybe you’re better off on the sidelines. It’s easier being the audience, the reader. Well, you know who else has these thoughts but pushes through them? They have sweat. They have tears. Hair pulling and nail chewing, not so much. But they have blood, blisters and bladder issues to deal with. They have more gory issues too, but this is a family show folks, so we’ll leave it up to your imagination. And if you’ve run a marathon before, you know what I’m talking about. 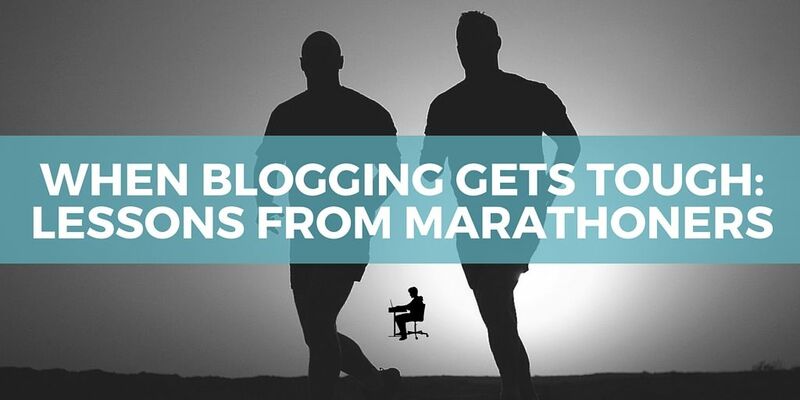 So what lessons from marathoners can bloggers learn to push on when things get tough? Besides the promise of a participants’ medal and a dry bagel at the finish line? The following nine lessons will get you through the sometimes grueling process of blogging. And these lessons are practical. If you’re looking for inspirational clichés or for ways to channel your writing muse, this is not the post for you. So put your shoes on. Let’s go. 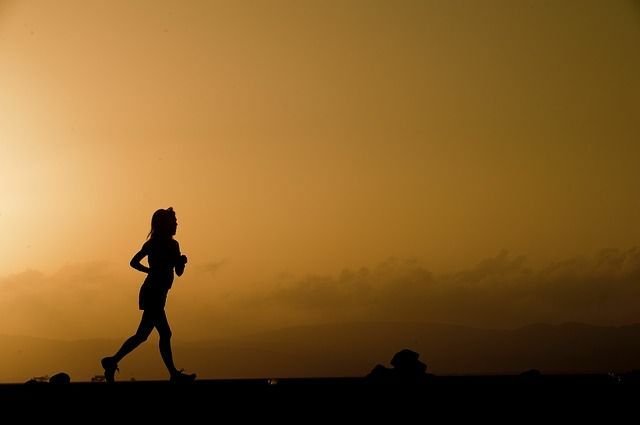 If you’ve never run a marathon, you may think the actual running part is what’s difficult. It is. But just getting to the start line is difficult too. And that’s not a metaphor. Your alarm wakes you up at 4:00 am. You eat your pre-run tested breakfast. You get dressed. Do not underestimate that last step. I know you’ve been dressing yourself since you were a child, but it takes on a whole new dimension when dressing for a marathon. Why? One word. Chafing. Then there’s transportation. Do you have a supportive friend who has no young children, enjoys waking up before sunrise on a weekend, and is willing to drive you an hour or more to the race? And you won’t be your usual cheerful self on the ride there either. No, you’ll worry – out loud – that you should have eaten the whole banana instead of the half. Or that you should have brought nine energy gels instead of seven. Plus, any digestion issues you may be having. And if you’re not having any digestion issues, just wait until mile 20, my friend. So what can bloggers learn from this? Well, it’s not easy to start writing a post. It’s probably the hardest part. And you have to do it several times a month, or more. When you sit down, you may not even have an idea in your head yet. But if the race starts at 7:00 am, you can’t say you’re not ready yet. You just show up and start. This is what you gotta do when it’s time to write. And it doesn’t end there. Writing one post is just the start. You’ll also need to create a plan for promoting on social media, give a compelling reason why readers should subscribe, oh, and don’t forget to create a great freebie like a checklist or a whitepaper. So much to do, but at least you don’t need to worry about chafing. Stick to it. When it’s on your calendar, it becomes a part of your day, not something you try to squeeze in if you get the chance. Someone you’re accountable to. Tell them you’re going to send a draft by Thursday at 2:00 pm. There’s nothing like a commitment to a friend to get you moving. Good nutrition and sleep are not just important for athletes. It clears your mind and helps you focus. Make it a priority. A common strategy for marathoners is to divide the race into thirds. If you’re thinking about mile 22 in your first mile, it feels overwhelming and a long, long way away. So you only think about the next eight or nine miles. It’s more manageable. The first chunk of time, you’re seeing how things shake out. Is your hamstring feeling okay, can you sustain this pace, and should you have included that Bruno Mars song on your playlist? When you’ve finished that first section, you can re-evaluate. You might be feeling great and can push your speed. Or it’s warmer than you expected, so you adjust your pace and drink more water. You can do this when blogging too. Don’t think about hitting the 2000-word mark right when you start typing, or selling your e-book before you have any subscribers. Getting too far ahead of yourself will slow you down. You lose focus. You get distracted. Focus on one thing at a time. And when you’re done, move on to the next. For each block of time you’ve set aside, just work on one thing whether it’s headlines, an email campaign, or building your profile on a social media platform. Maybe you’ve written the introduction for a post, and you suddenly get a great idea to include in the conclusion. I wouldn’t wait until conclusion writing day. Get it down now. Sometimes, you get a little wind at your back – so go with it. A time comes in every marathon when the energy and excitement of the beginning ends, but the finish line is nowhere in sight. I call these the lost miles. This is when your mind starts playing funny tricks. You see a tree, and there’s a glowing light surrounding it. Calling you. Telling you this is the perfect place to take a nap. Or you wonder why you thought this race was a good idea. It’s not a good idea. It is, in fact, a bad and painful idea. You should stop. And you think about stopping. But then what? You’ll experience immediate relief. Then regret. Then shame. So you keep running instead. It’s actually easier than dealing with the shame of stopping. Then you start humming the chorus from that Bruno Mars song. You hum that same chorus, again and again, for the next five miles. You’ll get no immediate payoff when you’re nurturing a subscription list or while you’re in the middle of writing a blog post. It may even feel like a chore. But you don’t want all of the work you’ve put in to waste away. Yet, you’re not sure where you’re going with this whole blogging thing. It’s so much work, and you can’t even tell if it’s going to lead somewhere. Will anybody actually read it this time? Or what if you write a killer post but then never get another idea again? So many thoughts are running through your head. Maybe you’ll just finish writing one more post, then quit. Unsatisfying, right? When marathoners feel like stopping, they tell themselves they’ll just run one more block or until the next water station. When they get to that spot, they do it again. You can finish the whole race, an entire post, or a newsletter this way. Marathoners have a saying. They say that all of your training is for the last six miles. Yes, you’re running 26.2 miles, but it’s those last six that count. The end is in sight, but you’ve got the most arduous miles ahead of you. You’re definitely not going to stop now. You might walk, or limp, but you’re still upright and moving forward, dammit! You can’t decide what’s more painful. Is it your left hip, your right ankle, or your lungs? Or that once-loved Bruno Mars song? (You’ll never listen to it again.) Everything else is numb. Numb or painful. I’m not sure if I’ve emphasized the painful part enough? And now there’s a hill. Really? Why do the spectators look so relaxed and cheerful while holding their stupid coffee cups and wearing their stupid athletic wear? They’re not even participating in a sport. They’re just standing there. Why do you need to wear Lululemon just to stand there? Don’t they know what you’re going through? Sorry. I’m cranky. This part’s hard. It’s a bit difficult to find perspective. Yes, it’s the finish line. Look at all these people cheering for me. I love spectators. I can see the end. I can really see it! Here I come. Watch me fly. I get that same unexpected burst of energy when I’m close to completing a blog post. This is really happening, I think. I’m really going to do this! The words, which were so difficult to excavate earlier, are streaming through my fingers. The keyboard on my laptop sounds like a tap dancer rather than the slow drip of a leaky faucet. Yes! I did it! My 17 subscribers are gonna love this post! Maybe your second wind comes when you hear from a reader who says your blog helped her learn a new skill, or when you get a bunch of new subscribers, or when you finally figured out how to add that widget to your site. Maybe you’re an elite runner, and you’re gunning for gold, or maybe this time last year you could barely jog around the block. If you’re new to blogging, getting a single post out every month is a success; if you’re a veteran, you may be looking to sell your book to the subscribers list you’ve been nurturing for years. Define your own success. 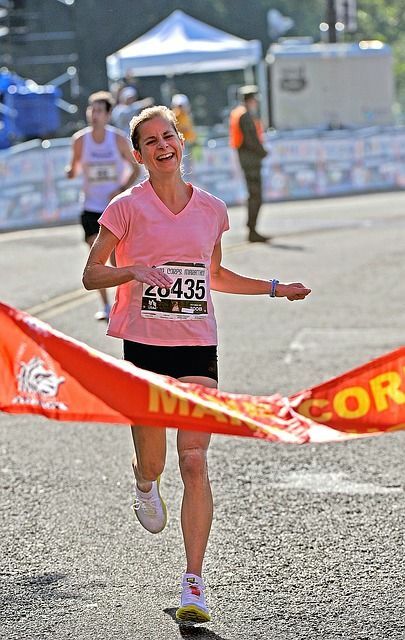 Marathoners are competitive people who are always working for a personal best. Most are not trying to beat someone else; they’re trying to find excellence within themselves. Strive to improve something every time you sit down to write. Comment on their posts, or share them on social media. When it’s your turn to get cheered, the encouragement will help you to keep moving forward. You did it! You crossed the finish line. 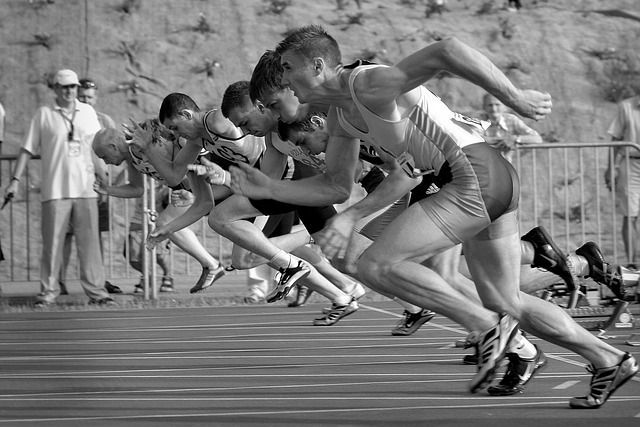 Whatever your finish line is – a move to full-time blogging, financial independence, or consistently writing a post. Things were rough for a while. But you kept up your momentum. One step at a time. It wasn’t easy. You endured pain. And the voices in your head almost made you stop. Think about how you feel right now. Good, right? No, not good. Awesome! Like you can do anything you want. Enjoy this feeling. Remember it. You earned it. You’ll think about this feeling when things get difficult again (and they will). But you know how to cope now — with nine solid lessons to keep you going when you want to quit. With these lessons, you’ll look forward to new challenges. Why? Because every challenge you meet changes you for the better. But for now – enjoy a long shower and a good meal. You deserve it. Lisa Pierson is The Conversion Copywriter. Visit her site to learn how to make your fine words sparkle. I’m glad you liked it. Lisa certainly did a wonderful job! Love her insights. The “maintaining momentum when blogging gets tough” caught my eye because, well, blogging is tough. And it is freakin tough to maintain momentum. Well, thanks for the lessons, Lisa. They’re awesome. I’m about to launch my food blog and I can’t tell you how invaluable this post has been for me. Right now I’m all revved up and working on my website design and thinking about my target audience and how I should grow my list. HOWEVER, I know I too will have those days when I will wonder why I even started or if it was a good idea…it’s bound to happen. I will have this post to turn back to on those days…ever grateful to you Lisa and Kevin! You’re right, blogging is tough. It takes intense dedication and drive. Glad you like the lessons. Good luck with your food blog, and enjoy the journey. Wow, wow Lisa and Kevin. This is pure gold! Pure awesomeness. Just like medicine law and accounting, it takes time to perfect the craft and win the battle of attention. The problem is, No one is willing to say or admit to this reality that “Not every one will eventually succeed” Just like the Marathon, few take home the trophy. But then there’s a way. I must admit I don’t comment on other blogs.. I don’t know why, I don’t just care. But this post breaks something inside of me. I clearly see the need. I am set to do this over again. Thank you and keep up the good work here at BABB. I appreciate the comment and the share. It’s indeed a great joy to be here again! What an informative guide to the bloggers! A well-written piece explaining the very wonderful tips/lessons, a blogger need to learn and follow! I am bookmarking it for my further reference. I like the way in which you presented it in a systematic way. Very informative and educational piece! Thanks for reading – I’m so glad you found it informative. Lisa and Kevin, I could really relate to this. I’m preparing for a 26 mile walk in September. I did 7.5 mi the other week and was miserable after. I didn’t eat or drink enough prior. Preparation is key! Same with blogging 🙂 Visualization is also important, you can’t do it if you can’t imagine it. Great tips, thanks Lisa and Kevin. @Lisa. Congratulations on training for your walk – it’s a big commitment. I like your comment about visualization – it is incredibly helpful. Good luck in September. Hi @Andi. Blogging can be an emotional roller coaster – I’m glad you’ve found some energy. Your post was quite interesting to read cos we could all see the sights and hear the sounds of the marathon runner. Blogging actually is a lot of hard work. I came across an article that talked of batching tasks and I’d try it out. So that it doesn’t feel so overwhelming. This is because with blogging, writing the post isn’t all there is. You have the research, networking with influencers and other bloggers, graphics creation, social media presence and the likes. I really love the point you made about competing with yourself. Unfair comparison can put you under immense pressure. Blogging is hard work but with the right mindset as you have stated here, it can be done with smiles in the end. I’m off to tweet this now. It is true blogging does at times become boring and too much tough but I guess your lessons learnt from marathoners is there to rescue. Having a schedule and a blogging buddy is a must. I have my buddy who blogs in a totally different niche and language but still that does not stop us from pushing each other a little more further. Yes competing with ourselves is the best thing we can do to keep us going. Thanks a have a great weekend. Great Read! Very inspirational and motivating, thanks. I like the angle you took with this post. A blogging buddy sounds nice, I should find one! Good nutrition is also underrated. I know I feel and perform much better when I take proper care of myself. Lesson 9 is also a fabulous one. Connecting with other bloggers encourages them, but it also adds fuel to your own fire. Blogging is hard. But these lessons are the stepping stones to success! Thanks for sharing them with us, it inspired me. p.s. thanks for having Lisa as a guest, Kevin! I dig this analogy. You test the limits each time you sit down to write a post and it seems a ton more extreme, but you’re also testing limits doing the marathon bit. I’m learning flexibility these days. Long, SEO-optimized posts – which I always resisted – are landing me on page 1 of Google after only 3 weeks of going this route. I felt rigid in regards to such posts for yours but faced my anxieties around ’em, released the fears and here we are. The key is to face, embrace, feel and release the fears and anxieties. Distance runners do it. I did it quite a bit when I was into body building and lifting really, really heavy weights from my teens through my early 30’s. It’s feeling the blogging terrors, flipping out, crying, digging deeper, embracing the hell, then letting go the feelings after you cease resisting them. Then….the breakthroughs happen. Super post Lisa. Thanks for sharing with us. These lessons are really incredible to gain momentum when blogging gets tough. Time schedule and specific about our goals are really most important to gain momentum when blogging becomes tough. Eventually, amazing lessons you have shared with us they are going to very helpful throughout life to become successful blogger. that I have read in a while. exactly what writing can be. because I see things from a different perspective.